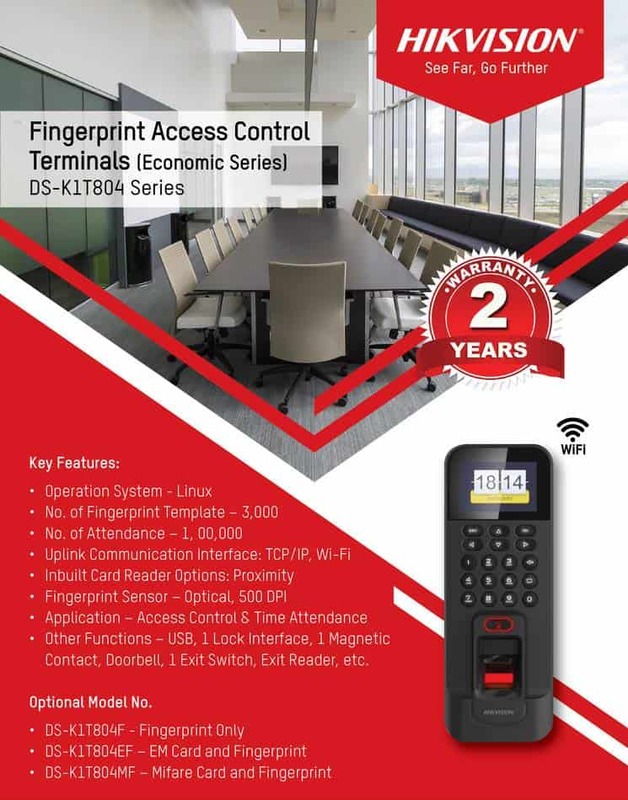 The DS-K1T804 Series of optical IP-based fingerprint access control terminals feature multiple advanced technologies, including fingerprint recognition, Wi-Fi, LCD display screen, and time attendance. 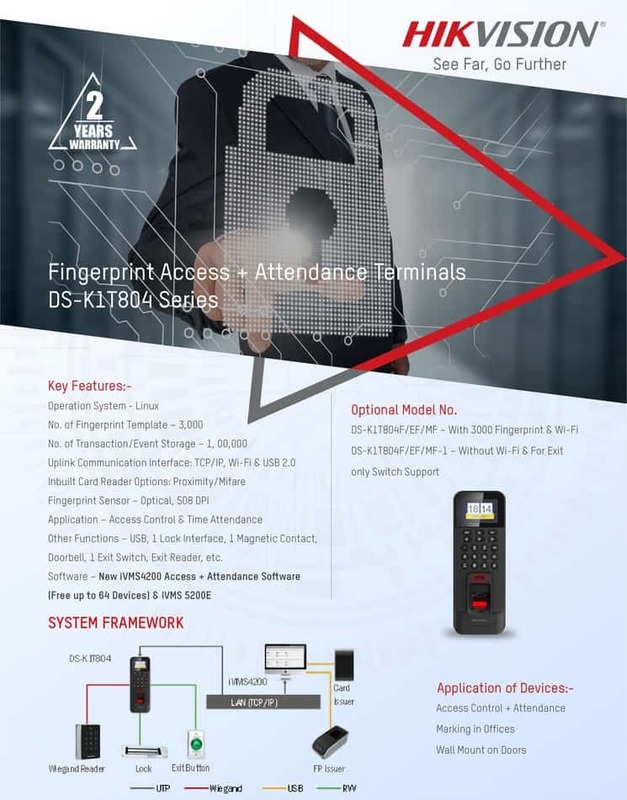 The DS-K1T804 Series is designedwith a 2.4-inch LCD display screen and is equipped with an optical fingerprint recognition module. An optional EM card sensor or M1 card sensor is available. Mounting is via a standard U.S. single gang box. 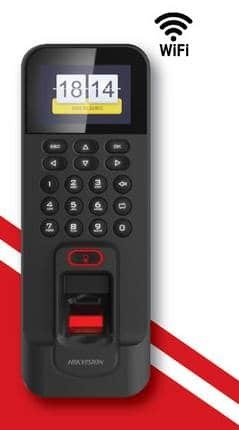 Contact us by filling the following form for a special Hikvision Fingerprint Access Control Terminals.